HV5812 is a 20-channel, serial input, vacuum-fluorescent display driver. It combines a 20-bit CMOS shift register, data latches, and control circuitry with high voltage MOSFET outputs. The HV5812 is primarily designed for vacuum-fluorescent displays. The CMOS shift register and latches allow direct interfacing with microprocessor based systems. 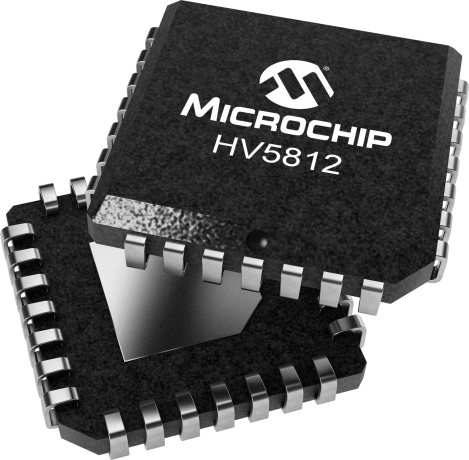 Data input rates are typically over 5.0MHz with 5.0V logic supply. Especially useful for interdigit blanking, the BLANKING input disables the output source drives and turns on the sink drivers. Use with TTL may require external pull-up resistors to ensure an input logic high.